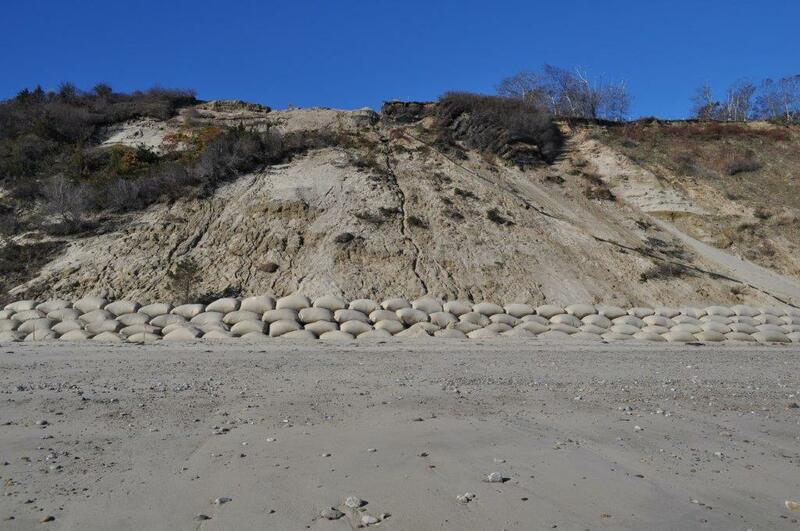 Sand filled geotubes are an accepted method for protecting a coastal bank or dune from erosion. 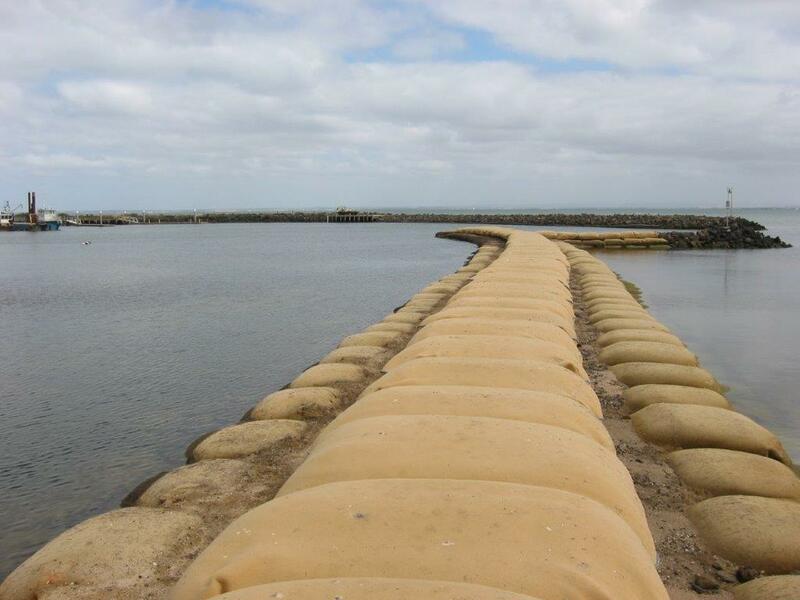 A recent innovation on standard geotubes is to use smaller sand filled geotubes constructed in a terraced, revetment like fashion. This approach reduces the effect of wave reflection, which is a drawback of the commonly used, larger geotube structures. Also, the smaller sand filled geotube structures can be more easily maintained or added to as coastal conditions change. NETCO recently completed the first large installation of small geosynthetic containers in the United States for a project in Plymouth, MA. 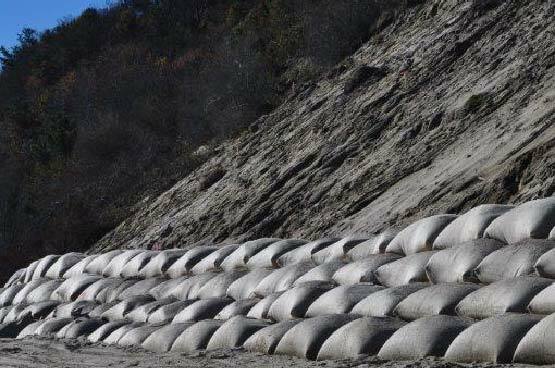 The installation protects the toe of a rapidly eroding 120 foot high coastal bank, with existing condominium buildings very close to the top edge. 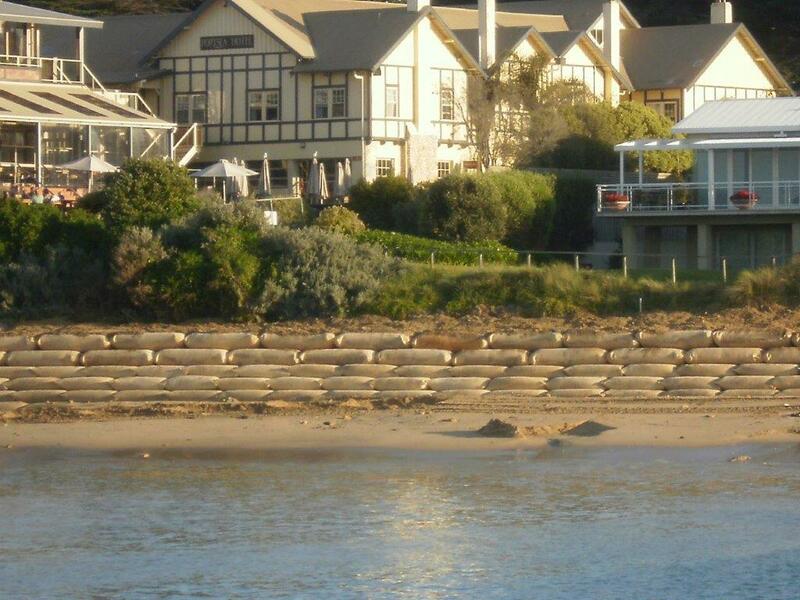 NETCO used ElcoRock, a geosynthetic container system made in Australia where there is extensive design and construction experience with small geosynthetic container installations. 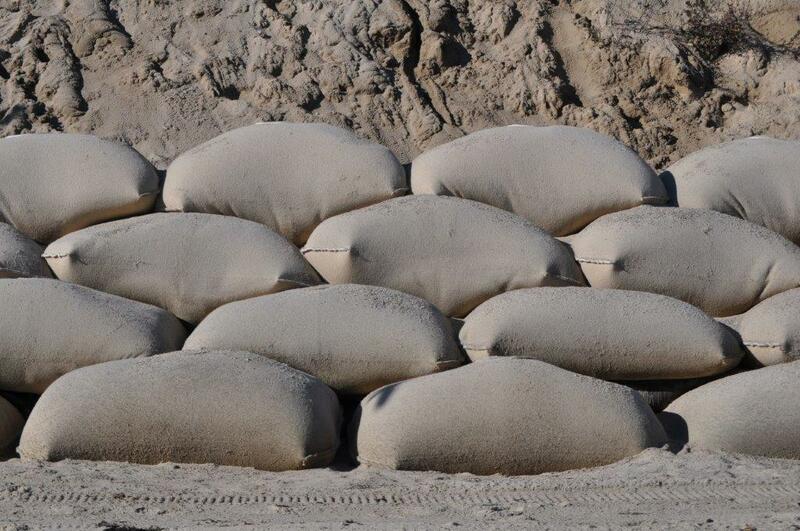 In Australia and much of Asia, small geosynthetic container installations are in fact preferred due to their environmentally friendly, low impact and low cost of construction.